Boerne Air Conditioning Experts is the local leader in heater replacement service in Grey Forest, TX and the surrounding communities. 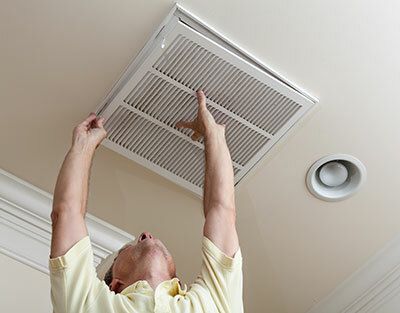 Our team understands that when your heating system finally fails, you want to get it replaced fairly quickly. But we think you should take a little time to consider the benefits of choosing a high-efficiency heater, rather than going for a fast and inexpensive option. Your high-efficiency furnace, heat pump, or hydronic system can last longer, use less energy, and save you more in the long run. If you have a high-efficiency heater that remains well-maintained throughout its lifespan, you’re likely to save more in the long run than if you jumped at the chance to get a less costly unit. Today’s high-efficiency heaters can potentially save homeowners in our area hundreds of dollars a year, particularly if they are replacing systems that are several decades old. Over the course of the next 15 or so years, the total cost of ownership should make up for the higher price of installation. Additionally, if you have the opportunity to replace your heating system before it breaks down for good, we recommend it. The earlier you replace the heater, the more opportunity you have to choose a system that really is the right choice for your home. And you won’t have to deal with an annoying breakdown when you need it to work. If you are considering replacing your current heater, or you’re unsure about whether you have a need for a replacement, consider some of these factors. First, think about your unit’s age. No matter how well you take care of your heating system or how quickly you address repair needs, no heater will last forever. The average gas furnace lasts about 18-20 years, while a heat pump can go for about 15 years before needing replacement—though some can wear out after a decade. Some heating issues occur due to old age, such as increased repair needs and system inefficiency. Neglecting maintenance can exacerbate these problems, but overall your heater’s lifecycle is defined by everyday use and natural wear and tear. As mentioned, one of the signs of old age is an increased need for repairs. A common question we get about frequent repairs is, “How often or how expensive should repairs be before a replacement makes more sense?” Generally speaking, if you are scheduling heater repairs 2-3 times a year, and/or if your next repair is going to cost over half of what the system is worth anymore, then replacement is very likely going to be a more cost-effective option for you. Finally, ask yourself one last thing: Have you noticed a spike in your energy bills this past winter? 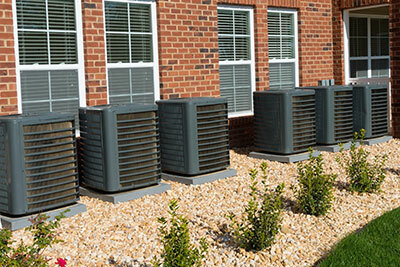 It’s only natural that your heating bills will fluctuate, and rise considerably during the coldest part of the year. However, if you aren’t using your heating system any more often than you were last year—or your use is comparable to that of your neighbors—and you still notice a considerable spike, then chances are that your heater is not working as efficiently as it once was.